'Brains and Brawn': the perfect combination. At Sycamore Precision, we're not content just to make chips (although we're really good at it). Combined with our exceptional machining capabilities is engineering expertise – brainpower – which enables us to help our customers with the design and manufacturability of their castings, forgings and extrusions. Ultimately, this can reduce manufacturing cost, add highly desirable functionality and, at the end of the day, lead to greater competitiveness. 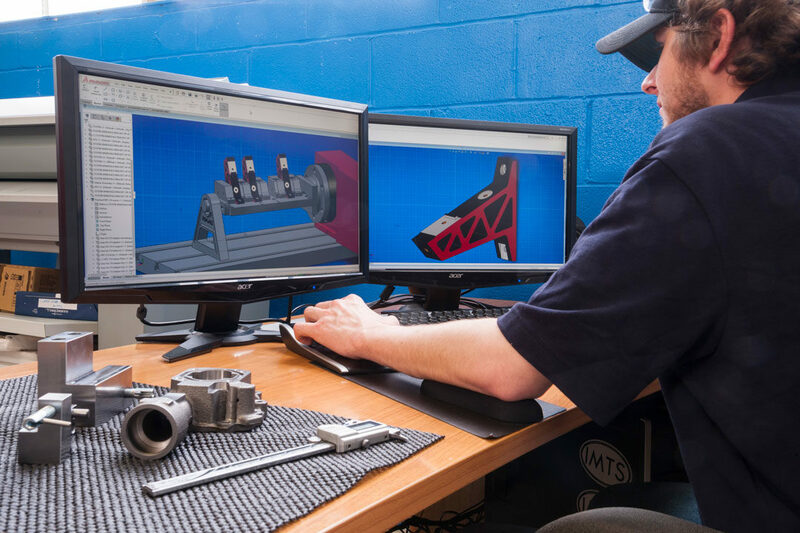 Our engineers are also equipped with 3D modeling FEA/structural analysis and other engineering tools that we leverage to create better solutions that are optimized for Designed-for-Manufacture. Try to find all of that at your local jobber or casting house!